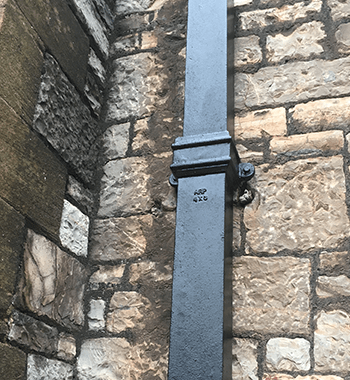 Bakers of Danbury Ltd are specialist refurbishment contractors for historic and listed buildings. Known for their reputation for providing high quality craftsmanship from their experienced stonemasons, carpenters, joiners and other tradesmen, making them the ideal main contractor for the recent refurbishment of the United Reform Church, Walken, Stevenage. The church building was originally used as a church in 1810 and is a Grade II listed building. 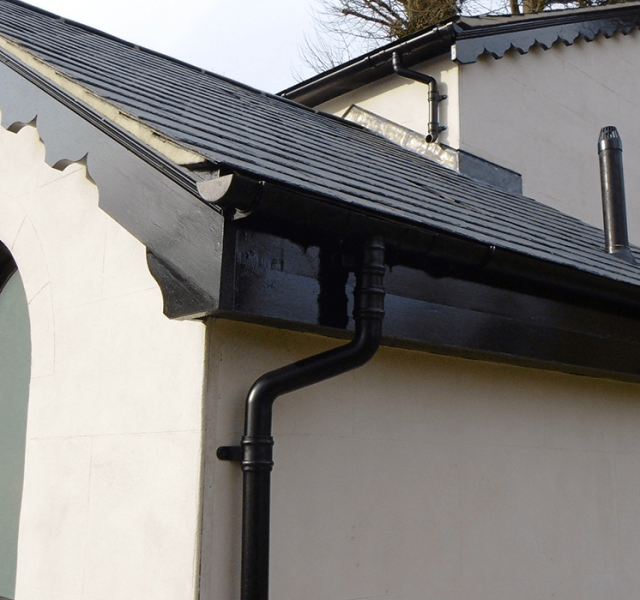 It was in a state of disrepair and a major refurbishment was required to its external envelope, including a new roof, rainwater system, brickwork and plastering. 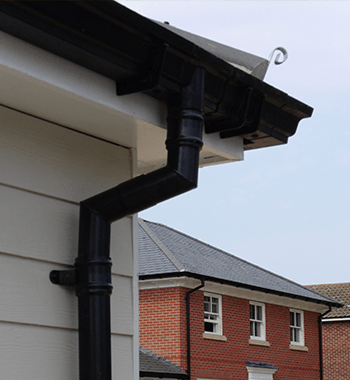 Upon meeting with the Bakers of Danbury’s Surveyor on site, ARP’s account manager Martyn Reed, was able to specify Legacy Cast Half Round Aluminium Gutter and Colonnade Cast Eared Rainwater Pipe in a black polyester powder coated finish. 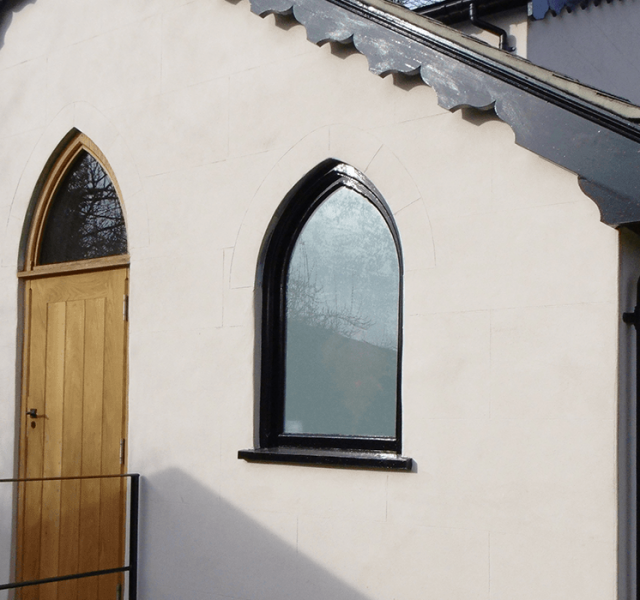 Legacy is ARP’s range manufactured to replicate traditional cast iron profiles and was chosen as the ideal solution – made from Aluminium, so strong and durable, requiring minimal maintenance and enhances the finished appearance of the refurbished Grade II listed church, whilst ensuring the property keeps its traditional appearance. 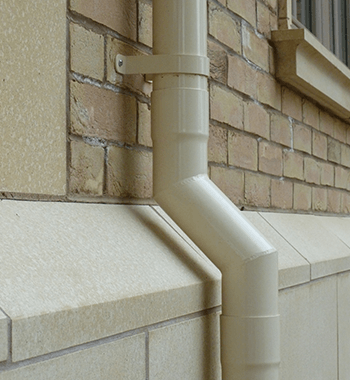 Martin was able to produce a full catalogue of the products required for the rainwater system, and was on-hand through the progress of the refurbishment to ensure the installation was a success.